Today’s guest article comes from Steve Dunn, Lead Pastor of the Church of God of Landisville, and author behind the blog – The Outward Focused Church. There are a variety of reasons why a person visits a specific church. For many people, it is because someone personally invited them. Others may end up at a particular church because of the location. Still others may choose a place of worship based on the size of the congregation or certain ministries that are offered. Once inside the doors however, what is it that keeps them coming back for more? Research among previously unchurched individuals revealed a surprising desire to know and understand doctrine. Knowledge however, is not enough. It is vital to them that the church they attend be uncompromising in its stand. People need to know that the church stands for something. The number one sin of a dying church is the dilution of doctrine. In an attempt not to offend, the gospel is watered down and cardinal truths are compromised. Ironically, this drives away the very people the church is desperate to attract. The leaders whose churches are reaching the unchurched are passionate about preaching. The pastor connects with the congregation to the extent that individuals feel the message has been tailor- made just for them. The pastors of effective churches overwhelmingly listed preaching as their most exciting and challenging task. It is important to understand that this passion, which is exhibited, is not a personality trait. It can be found in both quiet leaders and gregarious leaders. Passionate preaching is the result of being completely devoted to and excited about the work and ministry that God has called them to do. The passion from the pulpit carries over into evangelism as well. In many thriving churches the driving force behind obedience to the Great Commission is the passion that the senior pastor maintains for the lost. Effective churches are relevant churches. The pastor holds fast to the biblical integrity of his text, yet he does so with knowledge of the life situations in his congregation. A church in a farming community will relate differently than a church in the inner city. Churches must find ways to become relevant in their respective communities. Some hear the word ‘relevant’ and think it somehow means that Scripture is being altered. 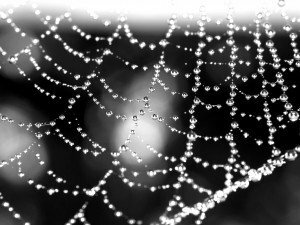 It is not necessary that tension exist between biblical integrity and relevancy. There is nothing more relevant to a lost world than the saving grace of Jesus Christ. The goal is simply to relate the unchanging gospel to the continually changing culture around us. Whether the focus is visitors, current members or the young adults leaving the church at an alarming rate, there are things we can know about them all. People today long for integrity. They desire personal integrity and financial integrity. This carries over into their church lives as well. People want to be in a church that stands firm in its beliefs and displays doctrinal integrity. They want to be in a place of passion. They need to see a preacher that pours himself into his message because he knows the power of the gospel. And they need to understand that the message of Christ is relevant to them no matter who they are or where they live. Stand firm. Be passionate. Be relevant. And they will come. 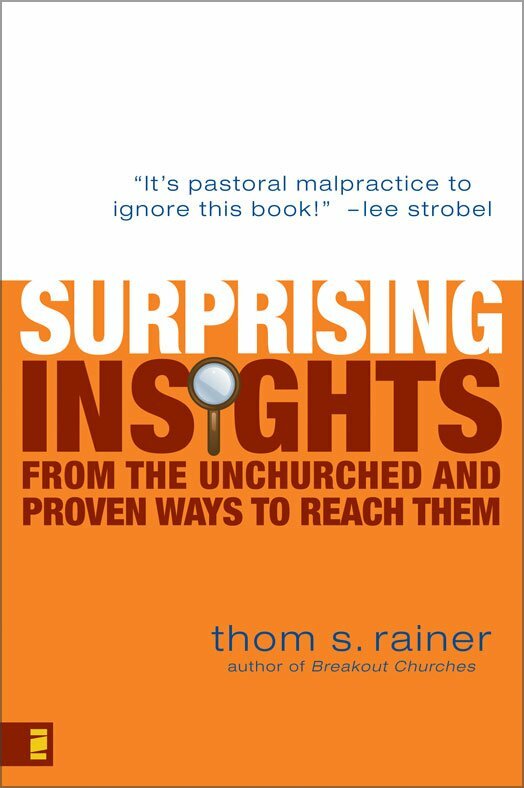 Thom Rainer is the author of “Suprising Insights from the Unchurched.” Order your copy from Amazon (affiliate link). I am newly on staff as Membership Director for connection and care. I wonder how best to follow up a first visit.. . . with a call from a member or from the Hospitality Team, a letter from the Pastor, or a quick visit with a loaf of bread, card, and greeting at the door. Card reads: We are glad you joined us in worship today. We hope the Son shines in your life this week. Any questions, call . . .etc. Sign. Any ideas where to start? I enjoyed catching up with you over the phone. I’m grateful for your enthusiasm to help newcomers find their way in.